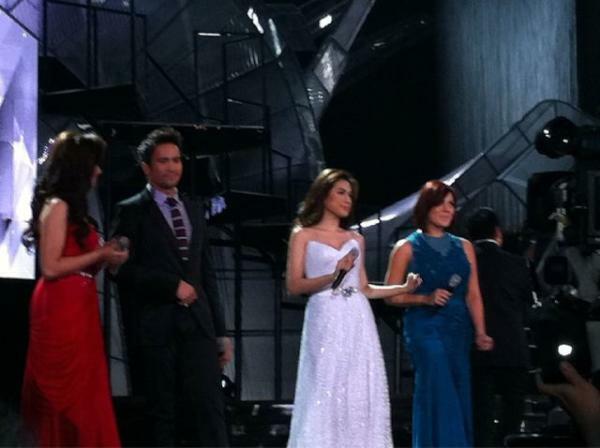 Here are some of the lovely ladies in lovely gowns from the ABS-CBN Christmas special that was televised last weekend. I love events such as this where celebrities dress up in lovely gowns. Solenn Heussaff is a French-Filipina VJ, actress, TV Host, model. Solenn is with GMA-7 Kapuso network as contract star. She starred in Philippine Reality Show "Survivor Philippines Celebrity Showdown", "Captain Barbell" and movies "My Valentine Girls" and "Temptation Island." Solenn also starred in the Nestle Philippines short film anthology "Sign Seeker" with John Lloyd Cruz. Photos above are from Jose "Pitoy" Moreno : A Tribute Gala held at the Edsa Shangri-la Hotel last November 21, 2011. I mainly picked out the pictures of the more familiar TV personalities. Shown above: Ms. Universe 2010 4th runner-up Venus Raj; Ms. Universe 2011 3rd runner-up Shamcey Supsup; 1992 Binibining Pilipinas - World Marina Benipayo (She also plays the role of Xian Lim's mom on "My Binondo Girl. "); 2011 Binibining Pilipinas Tourism Isabella Manjon is with Megan Young, Karylle, Denise Laurel, Lauren Young, and Shamcey Supsup. Jose "Pitoy" Moreno : A Tribute Gala was held at the Edsa Shangri-la Hotel last November 21, 2011. Pitoy Moreno, a national artist, is hailed as the "Fashion Czar of Asia." He has brought the country's national costumes to worldwide recognition. Above photos feature KC Concepcion (my fave local artist), 2011 Binibining Pilipinas International Diane Necio, 2010 Binibining Pilipinas World Czarina Gatbonton, celebrities like Bianca Manalo, Karylle, and Denise Laurel. 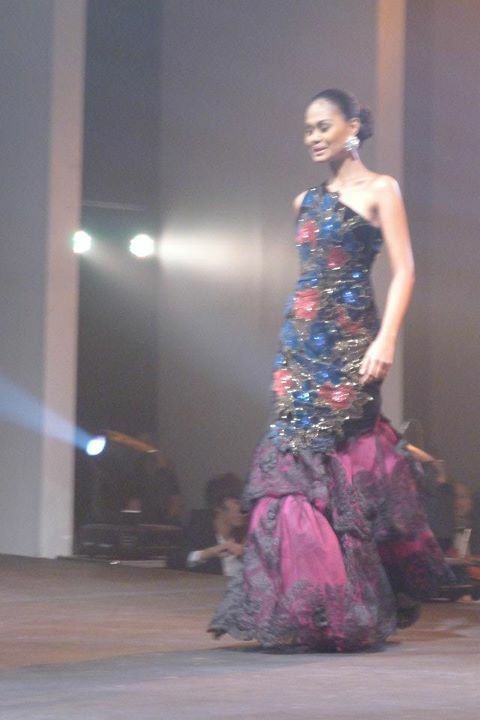 Isabelle Daza is a print and ramp commercial model. Isabelle is also the daughter of Ms. Universe 1969 Gloria Diaz. She is a GMA-7 network contract star. She co-hosted Miss World Philippines 2011 with Dingdong Dantes and Carla Abellana. 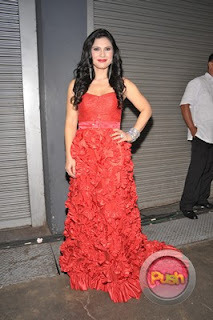 Here are some more pictures from the 25th PMPC Star Awards for TV. 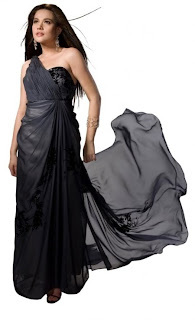 There are a few other pictures but I just chose the ones with gowns I like. Seen above: Bianca Manalo - co-host of "Happy Yipee Yehey"; Denise Laurel - whose comeback I await.. liked her team-up with Rafael Rosell; Gladys Reyes - the ultimate "kontrabida" (antagonist).. she truly plays the role like no other; Disney legend Lea Salonga. Some pictures from the 25th PMPC Star Awards for TV. 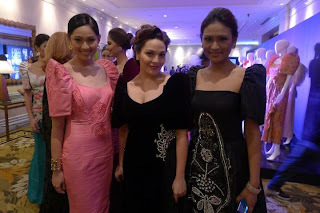 I truly love these events as I enjoy seeing Philippine celebrities wearing lovely gowns. Seen above: Best Musical Variety Show Host winner:Toni Gonzaga for ASAP Rocks (ABS-CBN). Toni also won Female Star of the Night. Female Face of the Night winner: KC Concepcion. Shamcey Supsup was one of the hosts of the event. Jewel Mische was one of the award presentors. Ex-Pinoy Big Brother (PBB) Teen Housemate Tricia Santos. Tricia belongs to the third batch of PBB Teen Housemates. By far, only the first batch has been most successful in producing stars as popular as Kim Chiu and Gerald Anderson. 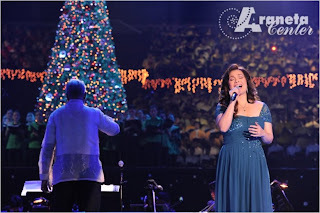 ISANG LIBO’T ISANG TINIG NG PASKO: The Araneta Center Christmas Special. Maestro Ryan Cayabyab's dream has come true in this Christmas special held at the Araneta Coliseum. Ms. Universe finalists Venus Raj and Shamcey Supsup hosted the event. 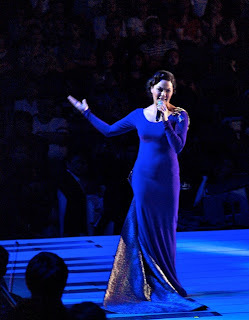 Disney Legend Lea Salonga led the lists of performers that also included KC Concepcion, Angeline Quinto, Piolo Pascual, Ariel Rivera, Jed Madela, Marcelino Pomoy along with JM Rodriguez and Rachelle Gerodias. 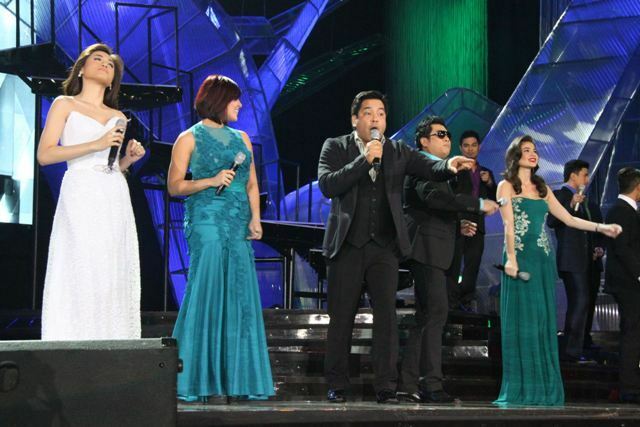 The show was aired on ABS-CBN's Sunday's Best last November 20th.